Recently, Pokémon is not making in the news but still, the game still has a large pool of players. In order to keep people into hunting Pokémon, developers announced they plan to introduce a new game mechanic that's meant to allow players to catch rare Pokémon slightly easier if they meet certain conditions. 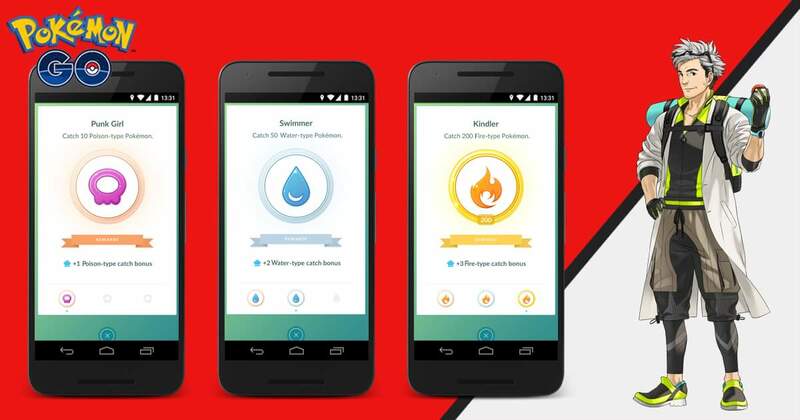 According to developer Niantic, the new feature, which is likely to be added in the next update, will provide a catch bonus when players earn medals based on catching certain types of Pokémon like Kindler, Psychic, Gardener and so on. If you manage to get these bonuses, it will give you a better chance of capturing Pokémon with a related type, even if the Pokémon belongs to more than one type at the same time. For example, when you reach a higher tier for the Kindles Medal, your bonus to catch Pokémon of the fire element type increases, so you will have a better chance of catching Pokémon like Vulpix, Ponyta and Charmander. Also, Niantic explained that if a Pokémon belongs to multiple types, the bonus will be the average of bonuses for each type. So, if a Pokémon is both Normal and Flying, the bonus would be the average of the player's Normal-type and Flying-type bonuses. Aside from the sneak peek of the new feature, the developers also announced their Pokémon GO is now available in 31 more countries. Kenya, Madagascar, Malawi, Mauritius, Mozambique, Rwanda, Seychelles, Tanzania, Uganda, Zambia, Chad, Gabon, Sao Tome and Principe, Egypt, Morocco, Botswana, Namibia, South Africa, Swaziland, Benin, Burkina Faso, Cape Verde, Cote d’Ivoire, Gambia, Ghana, Guinea-Bissau, Liberia, Mauritania, Niger, Sierra Leone, and Togo.